Provencal Palette - is a surreal reference to how artistic and painterly French Cuisine is. 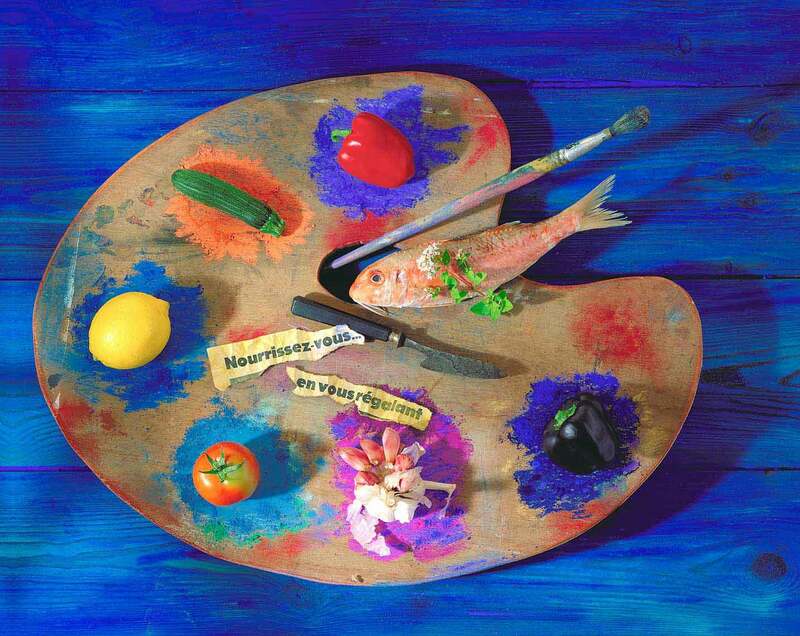 There is a fish and fruit and vegetables arranged like paint on an artist's palette. The palette is an old one of Paul Biddle's from when he used to paint. Still life photograph on 4" x 5" film.